A beautiful and unusual crocheted set made using Deramores' own award-winning Deramores Baby DK , a soft and gentle baby yarn which is perfect for all types of baby crochet projects. More details. 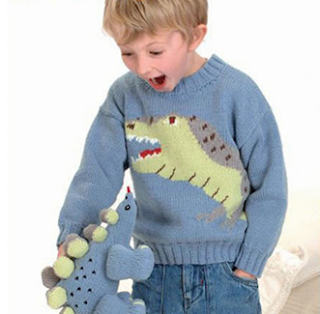 A classic jumper and toy collection that would surely delight any young child. 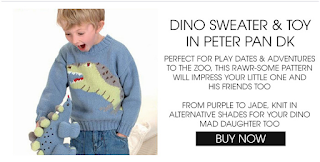 Knitted in Peter Pan DK, a beautiful soft and gentle yarn which is ideal for baby, toddlers and children and available in large palette of colours. More details. 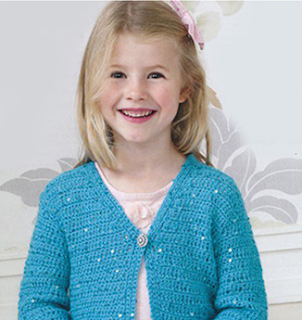 Two summery cardigans from Sirdar, both crocheted in King Cole Galaxy DK, a fabulous, sequinned yarn which is soft and sophisticated. More details. 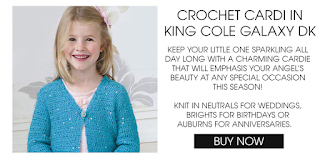 Two practical little raglan sleeved garments in Stylecraft Lullaby DK and Stylecraft Lullaby DK Print, lightweight and practical baby yarns created from an easycare blend of nylon and acrylic. More details. Two pretty easy-to-knit garments in Stylecraft Lullaby DK and Stylecraft Lullaby DK Print, lightweight and practical baby yarns created from an easycare blend of nylon and acrylic. More details.